Sean Hemmerle is a New York based photographer whose work ranges from international conflict zones to deserted industrial towns in the United States. His conflict images span over 10 years, beginning with the World Trade Center collapse, and continuing with sites such as Kabul, Baghdad, Gaza, Juarez and Beirut. Closer to home, Hemmerle has created award-winning photographs that reflect the pathos and poetry of U.S. Rust Belt areas in Detroit, Pittsburgh, Toledo, Gary, and Albany. He collaborated with the Columbia Journalism Review while working on the “Media Nodes” project, where newsrooms across the country were photographed as production facilities. In addition to thematically driven subjects, Hemmerle is drawn to architecture as a formal and symbolic element in much of his work. This has led to numerous commercial collaborations with international architecture and design firms. Since receiving his MFA from the School of Visual Arts, Hemmerle has exhibited nationally and internationally. His work can be found in public and private collections such as the Museum of Modern Art, the International Center for Photography, Martin Margulies and Brooks Brothers. His images have been featured in major publications, including Metropolis, Time and The New York Times Magazine. Since becoming a father, my motivation to do most things revolves around my family. I am much more conscious about making the world a better place for the next generation than ever before. If my work survives in the future, it will be the result of the work being useful and necessary. Art changes the world. We are all contributors. We are all affected. I am more conscious and respectful of creativity than ever before. My first camera was purchased with my Army enlistment bonus. I didn't actually consider myself a photographer until after I had spent some time in a darkroom. Photography is unique in that it is both a record of history, and that it is a manipulation of light with time. While asking him questions about his photography, I brought up Chernobyl and asked him if he would ever go there to take photographs. He sat down, turned on his computer and typed "Robert Polidori, Chernobyl". He said that he wouldn't go just because nobody can do it better then him. I snapped the picture while he was looking at Robert's photographs with a smile of respect on his face. My interest in photography started when I took a dark room class at Bergen Community College 6 years ago. From there, my love for photography has stuck with me ever since. I've studied little bit of everything to get a feel what I wanted to study in the long run. But before photography, I've had an interest in Interior Design. Right after high school, I did a semester at NYSID. However, I've figured out quickly that, it wasn't what I wanted to pursue as a career. Despite that, I knew I still wanted to be in a creative field, working in a different medium to find the best way to find my own artistic voice. Takuya Matsumoto (@takuyamats) is a visual artist from New Jersey. He found his inspiration in mixed medias, but particularly in music, where he was involved in playing the drums for many years before his commitment to photography.Currently attending The School of Visual Arts. Takuya is driven to develop a strong sense of identity and a clear direction of purpose through the photographic medium. Takuya is using his creativity, inventiveness, and experimentation to explore all aspect of what photography has to offer. 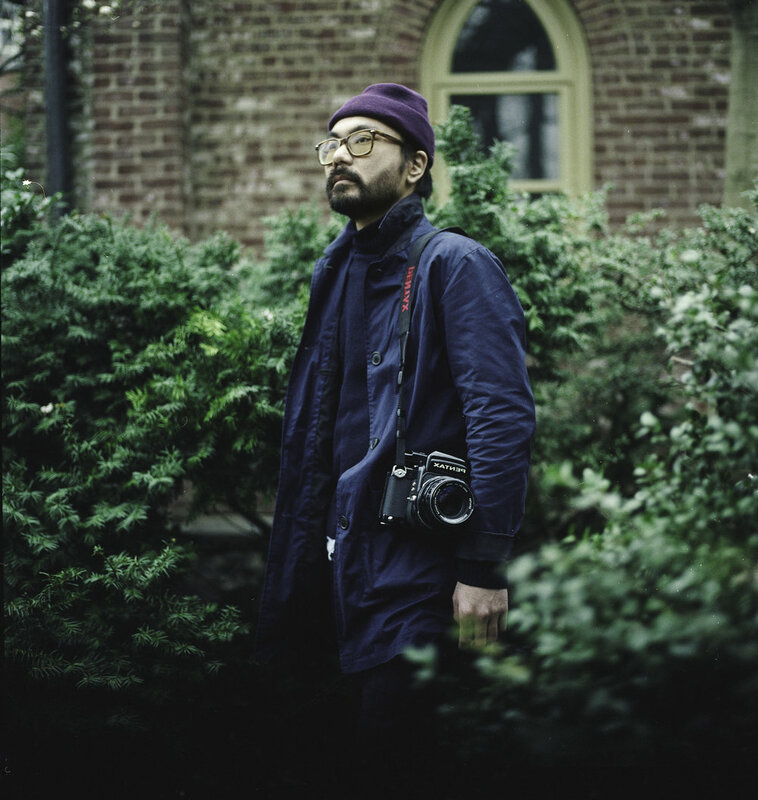 Whether it is photojournalism, portraiture, or landscapes, Takuya is always seeking to learn something new.After he graduates, Takuya plans to travel to Japan to document people that are still in the traditional industrial art profession. I'm always observing the things around me, where ever I am, that would make a good photograph. Whatever the subject matter is, if it catches my eye, I'm going to capture it. I find my inspiration through people. I'm always drawn to people that are always thriving to be creative. I feed off of their energy and motivation. I'm very grateful to be surrounded by such creative people in my life. As for my favorite photographer, I can't thank enough to mentor 'Roe Ethridge' @roeethridge that worked with me through my senior year at SVA. He really helped me to realize the potential I had as an artist and drove my work where I was truly happy with. What draws me to film photography is the time and effort to make a photograph. Each and every shot I take the time to take, the end result is something special that a digital camera cant give me. In my eyes, the pictures give me a nostalgic and memorable look that I can cherish forever. That's why I chose to do my 'friends series' with film. It felt right.